Project Dart: This is a Data Center of Barclays facility in Barnswood, Gloucester. The facility is made up of five data halls a total of a 27,000² building with £75 million Phase 1 build cost. It incorporates contained cold aisle CRAC cooling technology and high-end chilled water technology. For this Hurleypalmerflatt project Christina Galyfianaki accomplished the PRM (Performance Rating Method of ASHRAE Standard 90.1) with the employment of the exceptional calculation methodology to finally attain 34.1% energy cost savings compared to the baseline building. 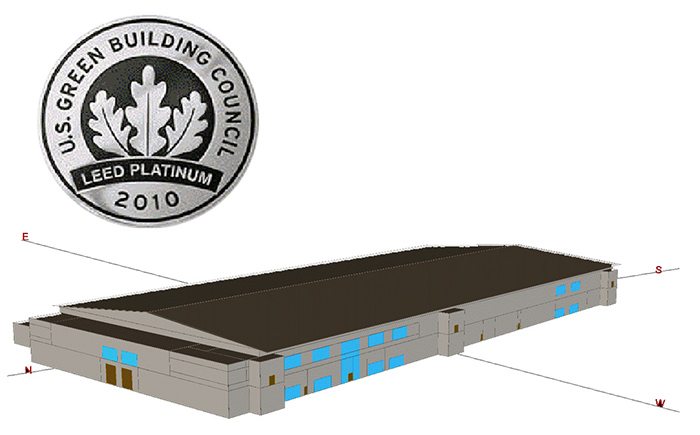 The EA credit 1: Optimize Energy Performance among other credits granted the Platinum LEED rating to the project. The Energy and Atmosphere (EA): Optimize Energy performance is the credit 1. category of LEED and it approaches energy from a holistic perspective, addressing energy use reduction, energy-efficient design strategies, and renewable energy sources. The credits are granted after a percentage improvement rating in the proposed building is compared wirt the performance rating of the baseline building. The Performance Rating Method is described in Appendix G of ANSI/ASHRAE/IESNA Standard 90.1-2007 (with errata but without addenda). ASHRAE is the the American Society of Heating, Refrigerating, and Air-Conditioning Engineers and it sets standards and guidelines relating to HVAC systems and issues. 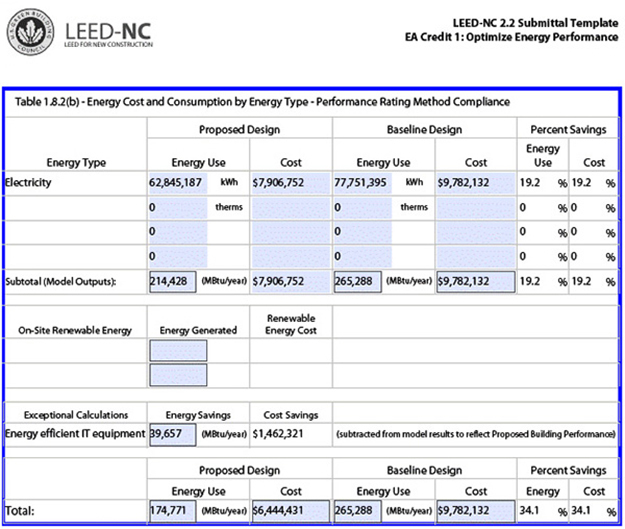 The LEED PRM model for Energy and Atmosphere credit 1 requires explicit description of the M&E design: the Central Plan, the air-side HVAC system and the zoning breakdown. Thus the complexity of the PRM models is high and the softwares at that time were not competently developed for that purpose. 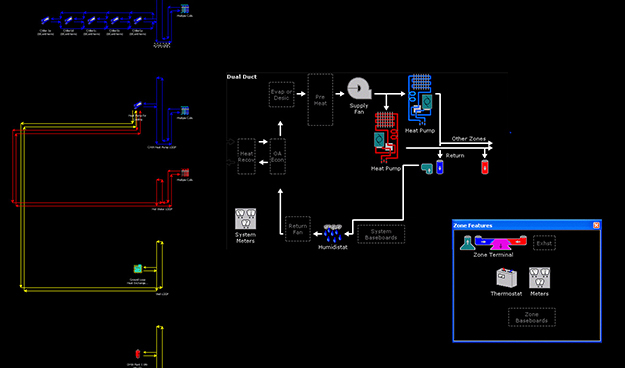 The software used for this project is eQuest with post process work involved.